Netflix have just released the official trailer for “Stranger Things” Season 3 and it’s clear that things have definitely not gone back to normal in Hawkins. Airing July 4th, the popular TV series shows us that behind the laughter and fun, creatures from The Upside Down are still very much present in Indiana. We all knew it would only be a matter of time before Eleven had to start using her powers again and this time it’s to go head-to-head with a horrific flesh monster. Despite managing to fend off another inter-dimensional threat in the previous season, Eleven and her friends are still having to give up their childhood to protect their rural town from the hideous creatures lurking in the shadows. 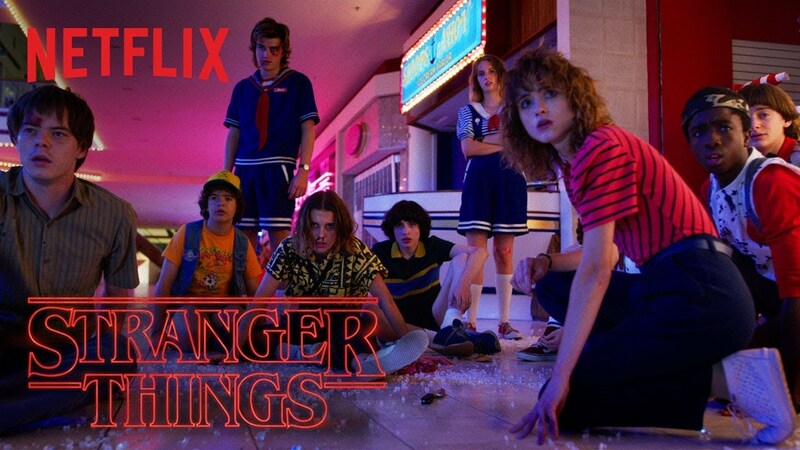 For season three, the usual cast are back along with some new faces too, including; Winona Ryder, David Harbour, Finn Wolfhard, Millie Bobby Brown, Gaten Matarazzo, Caleb McLaughlin, Natalia Dyer, Charlie Heaton, Noah Schnapp, and Joe Keery. Season two additions Sadie Sink and Dacre Montgomery return, along with newbie Maya Hawke, who will play a new character working alongside Keery’s Steve Harrington at the local mall. Stranger Things Season 3 premieres on Netflix on July 4th.